It's swatchin' time once again. The seven polishes that I have for y'all today range anywhere from $1 to $10 retail price. The video with live swatches of each polished is also embedded and linked down below. The picture above shows two coats without a top coat under a daylight bulb. I picked this one up directly from the company's website during one of their promotions. It retails for $10, but there often are sales in which the polishes are 50% off or even more. This one wasn't very streaky, but it did benefit from a second coat. The formula was okay. It was a little on the runny side but not unmanageable. Overall, it is just a wonderful cadet-type blue with a great finish. The swatch picture above shows one coat without a top coat under a daylight bulb. I picked this polish up in a set from Memebox. It sells for around $2-$3. I had been wanting to try these since Memebox started offering them. I've always had good luck with Korean skin care. So, why not try nail polish, too? The formula on this one is great! It isn't too thin or thick and went on the nail like a dream. 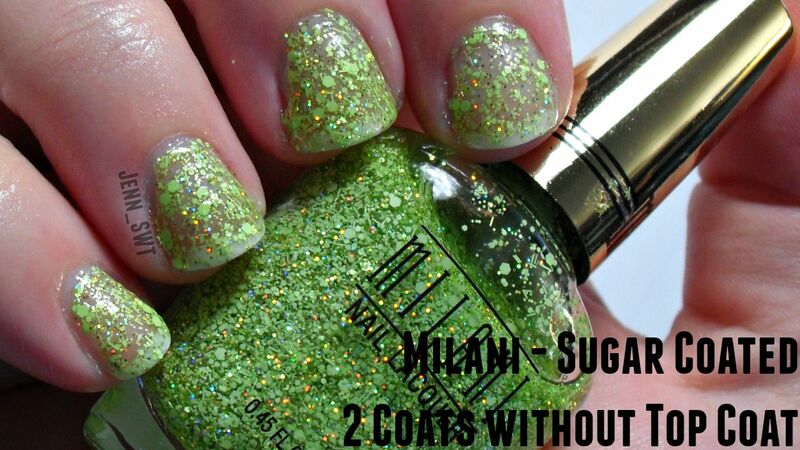 This one could really go 1 to 2 coats depending on how thick you paint on your nails. 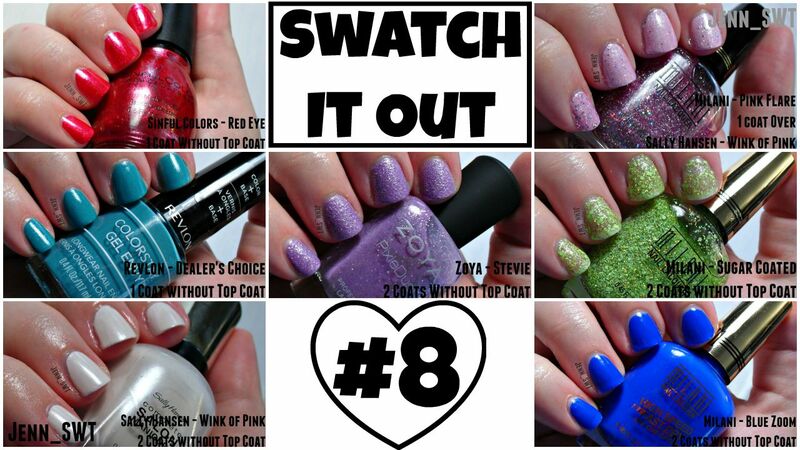 In the swatch video, I got away with one coat. 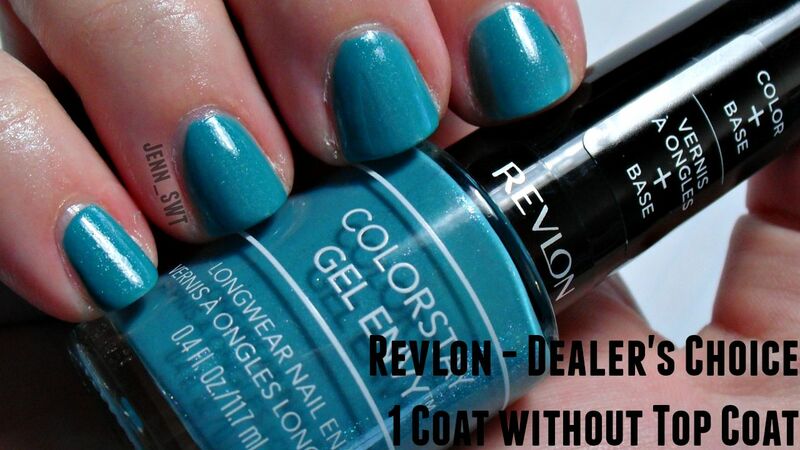 When I painted my nails with it later, I did slightly thinner coats and it benefited from a second coat. The wear time is pretty decent. I wore this one for a five days after filming the live swatch video for this set with a top coat. I did have noticeable tip wear which isn't surprising given how dark the color is compared to my nails. It was pretty chip resistant. I only had one place on my thumb chip off when I was trying to peel off a label. This picture above shows two coats without a top coat under a daylight bulb. I picked this one up on sale with a coupon at either CVS or Kroger. The full retail price is around $4-5. I love the color of this polish. It's like a slightly darker jade green. It just looks great on the nail. 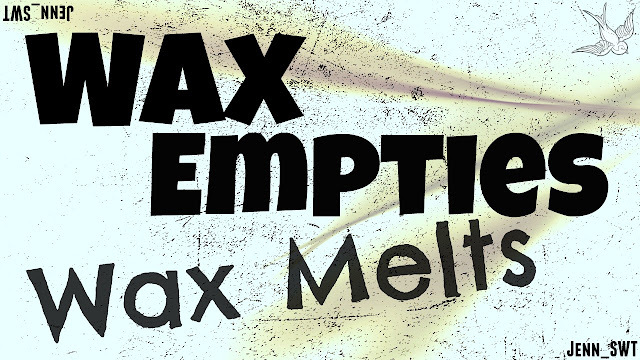 The formula is quite runny. I would be painting my nails, and it would start dropping off the brush. It is manageable with the skinny brush that comes on the regular line Revlon polishes, but I really wish it was a bit thicker. 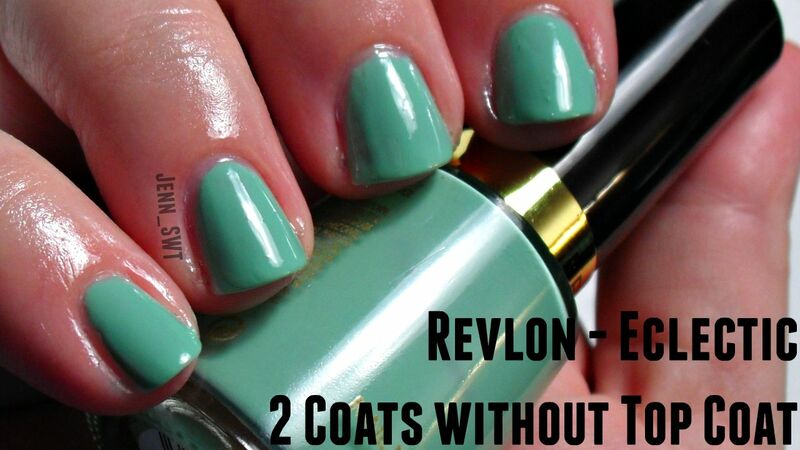 The swatch picture above shows 1 coat over Revlon Eclectic without a top coat under a daylight bulb. I picked this polish up at either Dollar Tree or Family Dollar for $1. The formula on this one is quite nice. It's not too thick not is it too thin. 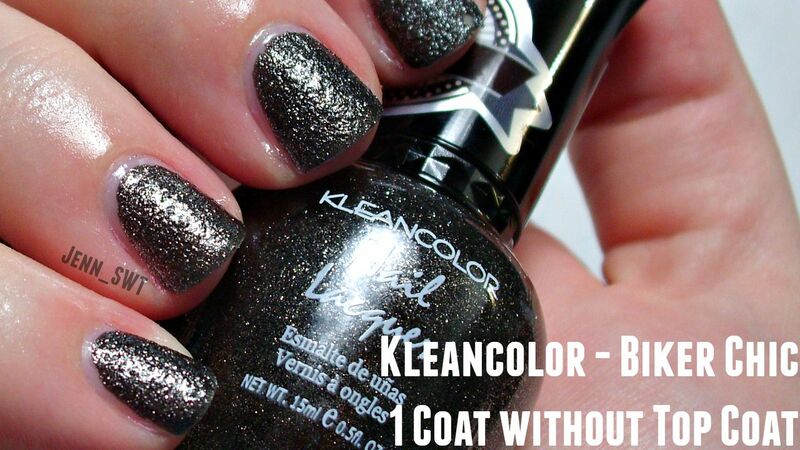 The glitter doesn't sink to the bottom, and it is easy to get onto the nail evenly without fishing. In fact, I didn't even shake the bottle before I did this swatch. I just stuck the brush in there and went with it. It had been sitting on my shelf for months as well. I picked this polish up at Big Lots for $1.50. 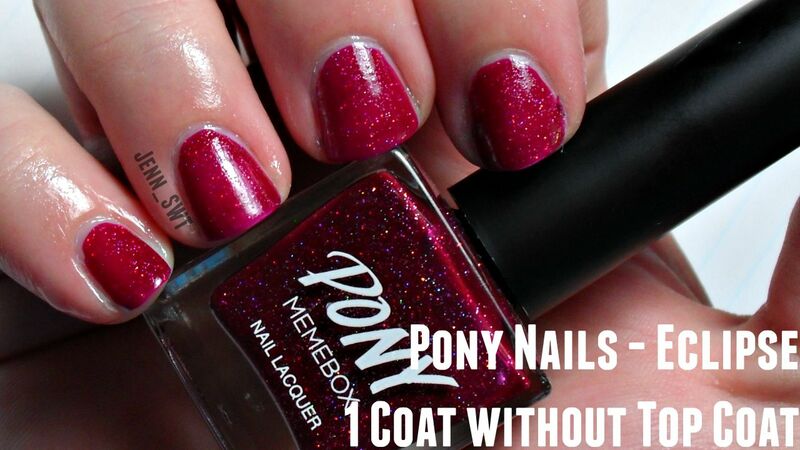 People are also finding this polish line at their local Dollar Tree stores for $1. I love the color pink, but I am not usually one for bright pink polishes. So, it's surprising to me at how much I love this one. It's just so bright and fun! The formula on this one is pretty good, but it is just a hair on the thin side. It is still very manageable especially with the good brushes that come with this line. I picked this polish up from Shop Miss A for $1. This is a textured glitter polish. The formula is excellent! It is the perfect consistency and went on like a dream. I am hoping that this one wears well. I have worn another Kleancolor polish that was a matte metallic (post here) and I barely got a day out of it before it flaked off in chunks. So, I will have to try this one and see. I think I may have better luck since this one isn't a matte finish. 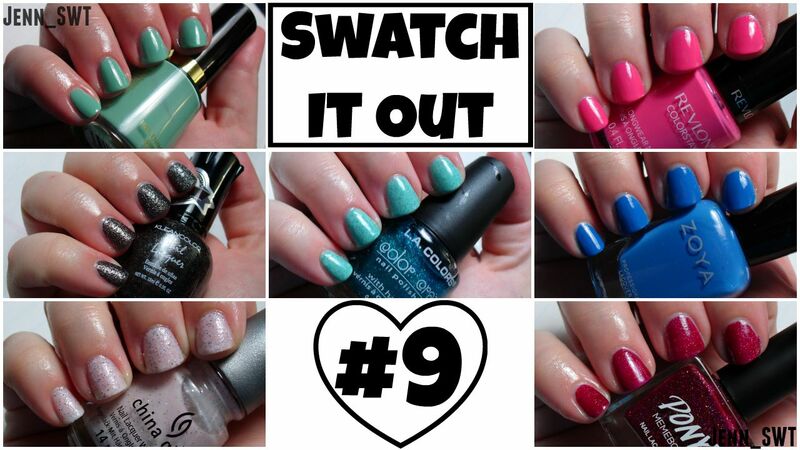 The swatch picture above shows 3 coats without a top coat under a daylight bulb. I picked this one up at Sally Beauty Supply on either clearance or a BOGO deal. These usually retail for around $6 each. The formula on this one is quite nice even though it is a bit sheer for my taste. 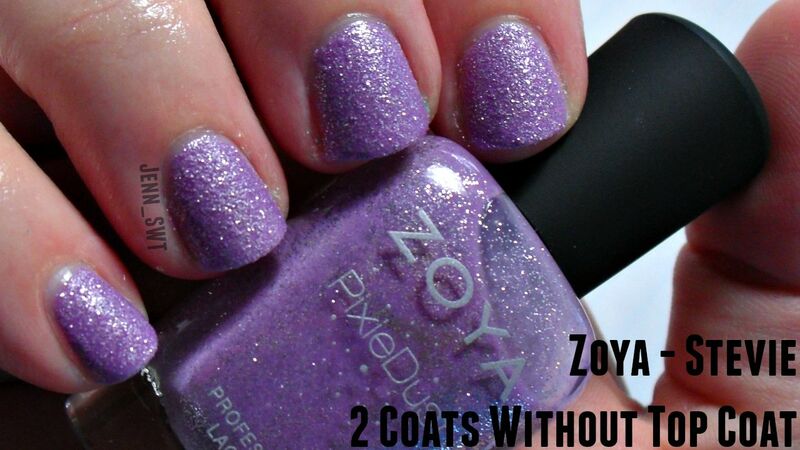 I like to have 2 coats or less for opacity unless it's an intentionally sheer finish. This one does look quite nice with the nail line showing through as well with less coats. 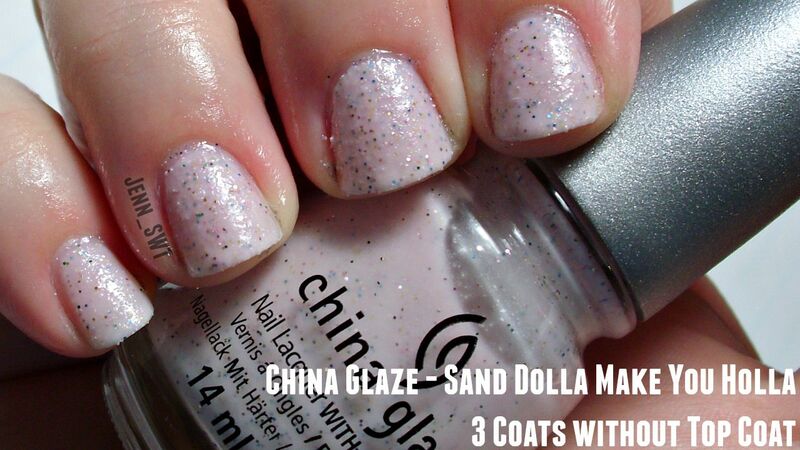 It gives a nice twist to a natural manicure with the small glitter and sand textured finish. This polish is very similar to another polish that I featured in a previous Swatch It Out from Hard Candy called Pixie Pink which has just a hair more glitter and no texture. You can check that post out HERE. So it's time to pick which one was my favorite and see if there are any polishes that need to be passed on or retired into my craft paint pile. If the Kleancolor polish wears well, I think I may have all keepers here. While I'm not too fond of the fact that the China Glaze needs 3 coats, I have a weakness for pastel pink polishes. You might be a polish addict if... Haha! Today, I have Fruit Fusion by Yankee Candle. I picked this one up online from the brand's website during the last Semi-Annual Sale. These usually retail for $1.99 each. 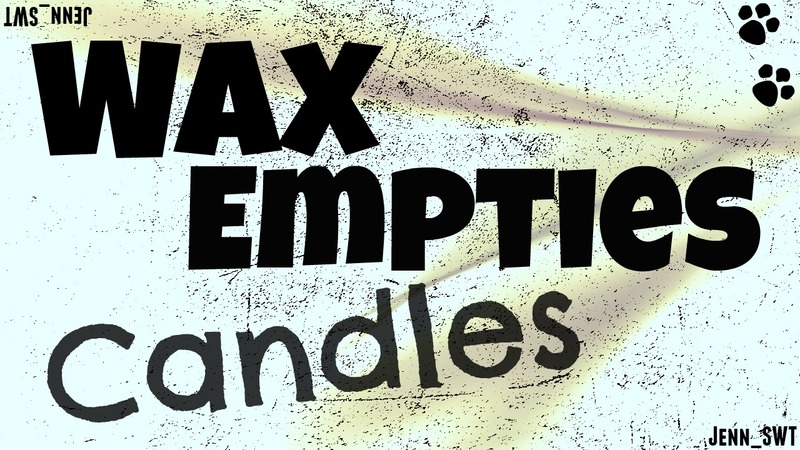 This is the first wax melt that I have ever tried from Yankee Candle. I don't really have any expectations either way, because I have seen very mixed reviews for these products. I do hope it does well because of the high price per ounce. It smells like fresh orange zest to me. It's just very bright and like someone is peeling a bunch of oranges. I don't detect any sweetness or berries like the description says. I just get straight up fresh citrus fruit. I decided to put this one in a tea light warmer as per some recommendations that I've seen to get a better performance. It did very well in it, too. I got a pretty strong throw for a little over 6 hours. It filled up my entire kitchen and crept a bit into the adjoining dining room. It was quite true to cold and pretty consistent throughout. This tart did very well for me. The only thing that I really didn't like was the packaging and how messy it was. First, the plastic wrap makes it very difficult to get a good sniff on cold. It also makes it pert near impossible to reseal if you only want to melt part of the tart. I just really don't like it. The tart itself was also messy to open. It is a very dry, hard, and crumbly consistency. So, opening it over a bowl or something is a must as you have to cut and unwrap it. Crumbs just get everywhere. The tart itself did amazing. The packaging leaves a lot to be desired. Since I put performance before packaging, I would repurchase it on a good sale in a heartbeat. *Not sponsored. Purchased myself and all that jazz. This is a collective haul from a few months back. 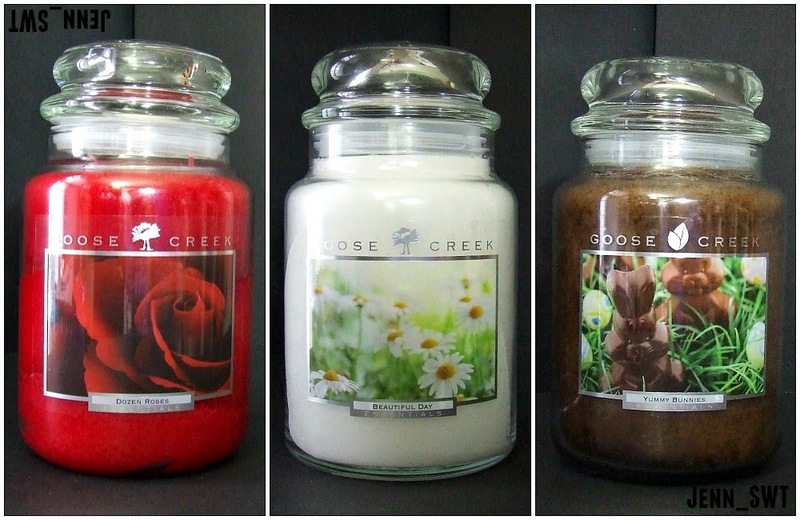 I thought I'd share it anyway, because many of these candles are still available both online and in retail stores many of which are on clearance at the moment. 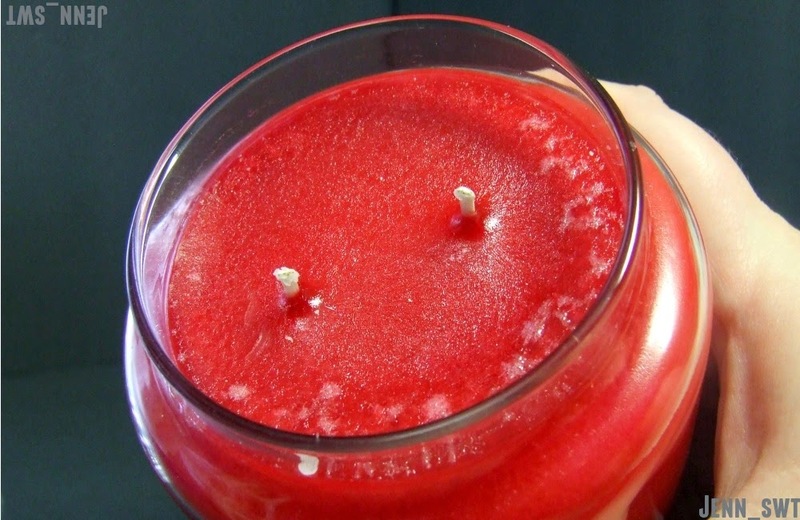 All of these candles are double wick as shown in the picture above. 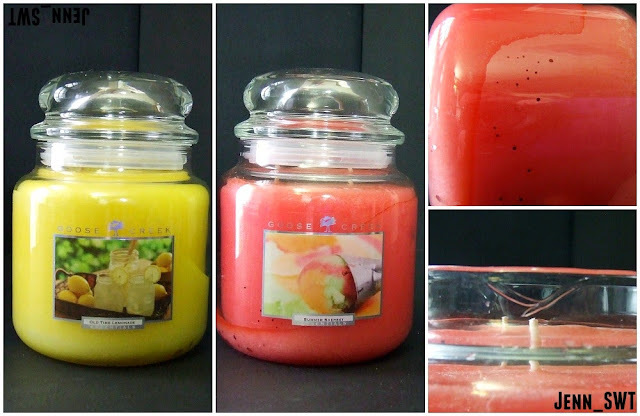 Official Description: The scent of Summer Slices is a luscious fruit citrus medley with grapefruit, tangerine, and strawberry. This one smells so sweet and fruity to me. It is not that strong on cold. Funny enough, this smells just like another scent I have tried from a different company: Polyjuice Potion from Fortune Cookie Soap. They are dead on dupes to my nose. Official Description: This delightful holiday scent blends warm milk with comforting, cozy cashmere and vanilla crème. Tonka bean, figwood, and creamy sandalwood in the base deliver an intriguing finish. Doesn't that label just look downright cozy? The scent is quite cozy to me as well. The first thing I thought of when I sniffed it was "earthy and perfume-y hug" like you are hugging someone who smells nice while they are wearing a soft sweater or something. Haha! I definitely get the sandalwood with the vanilla and cashmere rounding it out. Official Description: Tart lemons sweetened in a luscious cream pudding cake covered with rich lemon vanilla frosting. This one is pretty light on cold, but it is a sweet bakery lemon. Official Description: The thirst quenching, bitter sweet aroma of a freshly squeezed glass of lemonade. This smells like the Country Time lemonade mix to me. It is a tart lemon with a hint of sugar. I've actually already burned this one down and done a review. 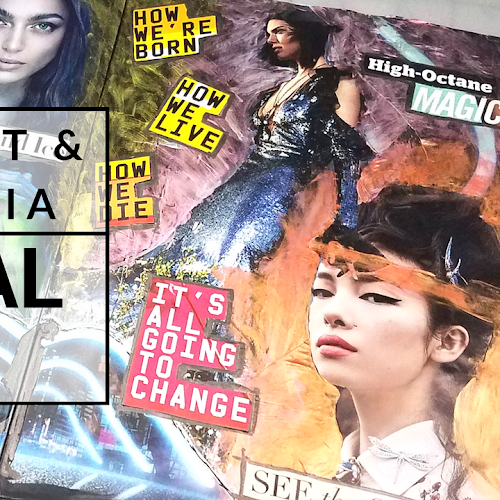 You can check out my blog post HERE. This scent is just divine to my nostrils. It smells like dead on rainbow sherbet. I can almost taste it, y'all! It's just sweet lime creaminess with hints of fruit. Yes! I hope it burns well, because it is quite strong on cold. The picture all the way to the right there shows a couple of weird flaws that were on this candle when I received it. 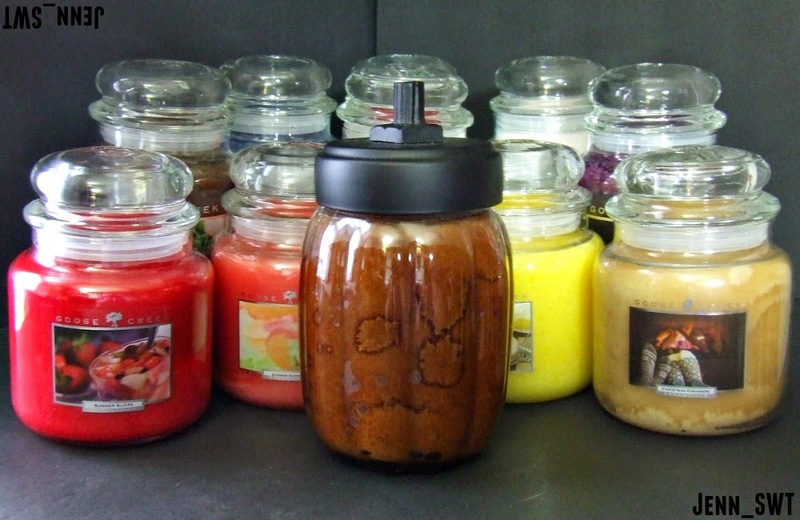 On the top, you can see that there are weird black dots through the sides of the wax inside the jar. The scent doesn't smell off or anything. It smells just like the tart that I have in this same scent. Below that, I can't tell if that is a flaw in the glass or a crack that happened in transit. It is not very deep not all the way through the glass. So, I think it is safe to burn. I didn't bother with customer service and doing the whole bit, because I didn't see anything that would prevent me from burning this candle as I normally would. I also got it on a good sale. I just thought I would show it in case someone else has had this or a similar thing. I will say that Goose Creek packages their candles exceptionally well for shipment. Official Description: Love is in the air with this beautiful sensual fragrance that opens with a zest of Sicilian Bergamot. An exotic blend of dark cocoa, lavender, patchouli and creamy vanilla warms the heart and leads into a base of mahogany, warm amber and exotic musk – making you not wanting the night to end! This is a candle I bought on a whim on after Valentine's Day clearance. I took one sniff and made a dolphin noise of delight. I fell in love with it, y'all! The cocoa really stands out with the lavender, patchouli, and earthiness right behind it with the hint of vanilla and light musk to round it out. I have just never smelled anything like it before in a candle. It's so interesting and I giggle like a possessed furby doll every time I take a sniff. I have burnt through one of these (I bought a couple back ups in a later order), and it did very well for me. It burned very clean, lasted a long time, and the scent spread out through a couple nice sized rooms. I hope the next one I burn does just as well. 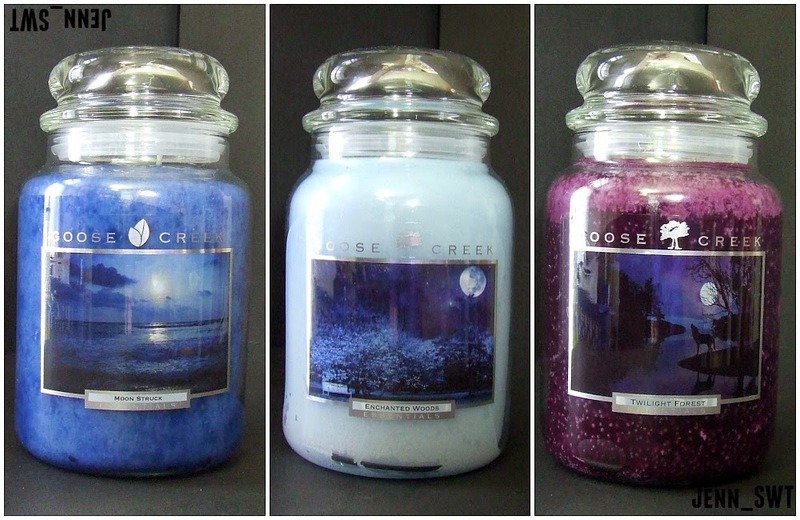 Official Description: The heart warming aroma of a magical walk through the moonlit woods. 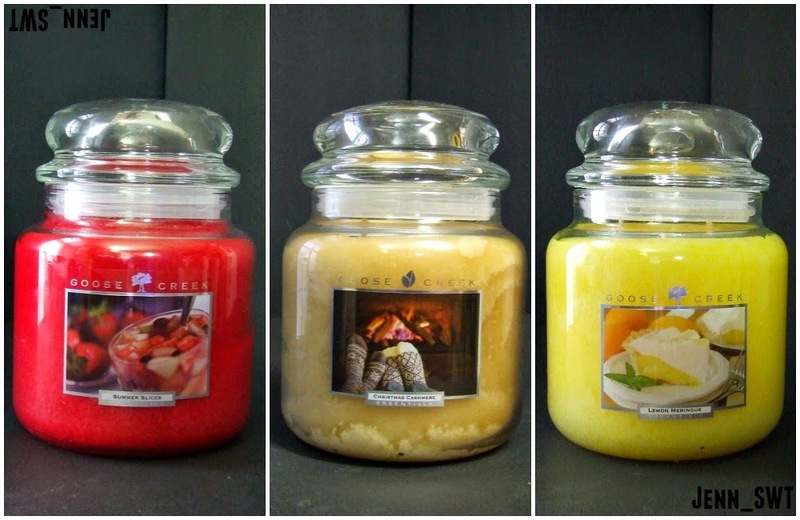 Enjoy white citrus, lily, jasmine & sandalwood. The scent of this one doesn't evoke any sort of sense (or scents, haha) of woods at all. It is a very clean, marine-like scent to me. It is very pleasant, but it reminds me of a floral soap with some water or sea notes. I don't pick up any sandalwood on cold, but I do get lily and jasmine as the main stars. Official Description: Fill the room with the enchanting and beautiful medley of juicy berries, freesia blooms, agar wood, and vanilla musk. Truth be told, I bought this one for the howling wolf picture on the front. It just spoke to me. Haha! I was a bit worried, because I saw some customer reviews on the site say that it was a light throw. I burned this one up, and it did very well for me other than a bit of soot. It had a very strong scent throw in my living room. It filled the entire room and crept into the next. The musk came out the most for me while burning with the other notes mixing in behind it to create a earthy perfume type of scent. I very much enjoyed it. Official Description: Like a symbol of admiration, this fragrance opens with a beautiful sparkling blend of red apple, pink currant, sparkling bergamot and wild rose. A fresh heart of purple orchid, evening primrose and violet leads into a warm base of sandalwood and patchouli. This is definitely not your typical rose scent. In fact, if there is any rose in there, it is very much in the background on cold. I am not a fan of straight floral scents. So, that is great for me. 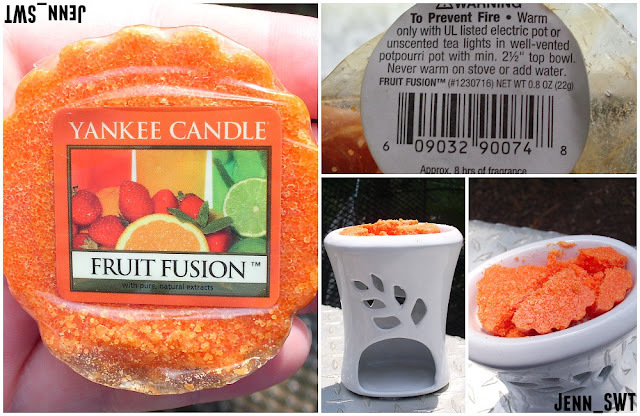 The first scent I pick up is fruity which I assume to be a combination of the red apple and pink currant. Then, I get an earthy or spicy note with the bergamot with just a dash of patchouli. Under that, I get a mixed floral note. It is very interesting and quite complex to my nose. I smelled it several times and had a slightly different experience each time due to all the notes in there. I am looking forward to burning it for sure. Official Description: It's a juicy blend of pear, apple and bergamot. The heart blends violet, jasmine, and cyclamen. The bouquet finishes with dark sandalwood, amber and musk. This one smells very fresh and floral to me on cold like a nice body cream or spray. I also get a hint of the amber and musk in the background. Official Description: It's absolutely delicious...it's everyone's favorite Easter treat. Enjoy whipped milk chocolate, vanilla and sweet sugar. This smells like a Hershey chocolate bar or chocolate milk on cold. Yum! Official Description: Warm up with a blend of apple cider, pumpkin, sparkling orange, and rum spiced with nutmeg, and clove. 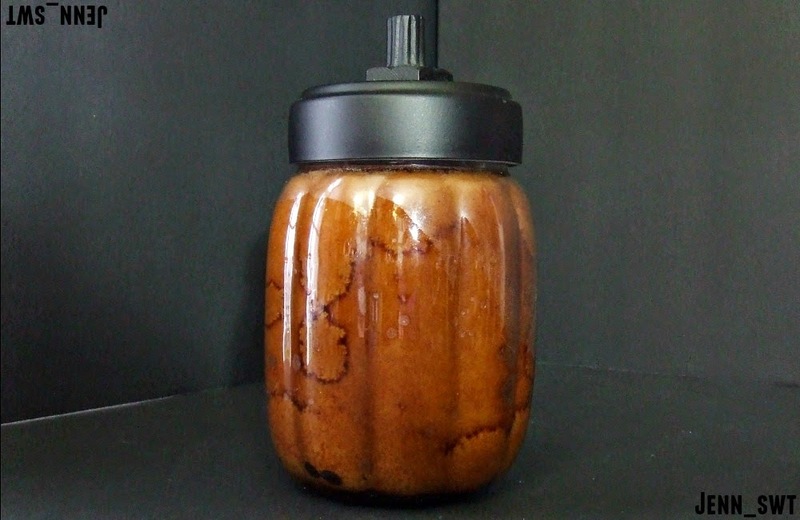 Maple syrup, melted caramel, and vanilla bean combine for a yummy finish. How cute is this pumpkin? I swear. This scent is spicy. It even tickles my nose a bit on cold sniff. I get in the background a hint of the apple cider and some sweetness. I'll have to see how it burns, because the spices definitely jump out way above everything else in this one. It's like get punched in the nose with clove and cinnamon. Pow! *Not sponsored. I purchased these with my own money while stalking online sales, because I'm crazy like that. All opinions are my own and based on these particular candles and all that jazz. It's that time again where I take seven random polishes from my polish collection and swatch them for y'all to see if they are worth keeping. I have a mix today ranging for about $1 to about $12.50 retail price in a variety of colors and finishes. So let's see if I've got some hidden gems or just a bunch of duds? The picture shows one coat without a top coat under a day light bulb. I picked this one up a little while back at Big Lots for about $1.50. I knew I had to choose this one for this series as soon as I swatched it on my swatch stick. I just had to see if it was equally as great on the nail. It is! The formula was amazing and it only needed one coat to be opaque. I want to wear it as a manicure soon to see about the wear time and all that, but it is definitely one of my favorite polishes of all time at the moment. Yes! I picked this one up recently at Dollar Tree for $1.00. I was pleasantly surprised by this one. I usually don't have any luck with quick dry formulas, but this one went on beautifully. It wasn't too thick or thin. 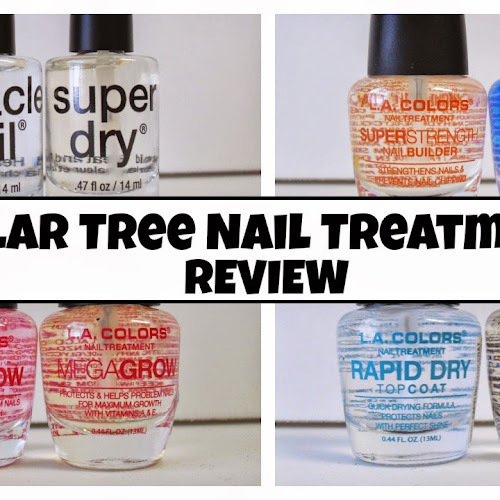 It also dried fast but not so fast that you couldn't work with it on the nail. And it's a gorgeous blue! So happy with this one! 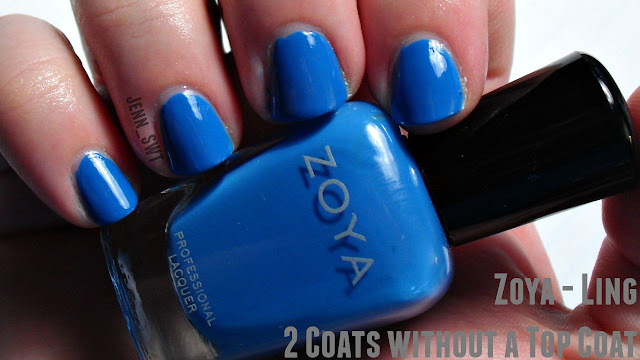 The picture shows two coats without a top coat under a daylight bulb. I got this polish in a friend swap with a fellow youtuber, Beth on a Budget. I am so impressed with this polish. Usually colors that are this light are super streaky and don't do well for me at all. This one is opaque in two coats and has a fabulous formula. I have worn this one a couple times as a manicure and got about a week's worth of wear on my natural nails each time. The picture above shows one coat without a top coat over Sally Hansen Wink of Pink under a day light bulb. I picked this polish up recently for $1.00 at the Dollar Tree. I really love the way this one looks in the bottle and on the nail. It is just pink and sparkly goodness. I really didn't care for the formula at all. I found it to be really runny and very difficult to manage. It also was hard not to completely flood my cuticles. The picture shows one coat without a top coat under a day light bulb. The polish looks slightly more green in person. I picked this one up on a deal at CVS very recently. The formula on this one was great! It was opaque in just one coat and had a shiny finish. Unfortunately, I did have a couple problems. First, the brush was hacked off on one side. I half expect it sometimes with the super bargain polishes that I buy, but it shouldn't be an issue in a new polish that sells for over $8 at my CVS. Also, it went from being a favorite polish of mine to one I will avoid because it stained my nails. I didn't have it on for very long, and I had two coats of stain blocking base coat underneath, and it STILL stained my nails. Luckily, I was able to get most of it off with several applications of acetone since I only had it on long enough to swatch. This polish is supposed to act as a base coat and color in one. I'm super glad that I didn't go by that. I would have had a lot of blue to grow out on my nails. The picture shows 2 coats over a clean base without a top coat under a day light bulb. I picked this one up awhile back at CVS on clearance, but these are popping up at the Dollar Tree for $1.00 recently. The formula on this one is okay. It's a bit on the goopy side. I've forgiven it and kept it in my collection so far, because I don't have anything else quite like it. It's like a glorious mess of Easter grass, salad greens, and sparkles. Haha! It could probably reach opacity on its own in 3-4 coats, but I like it best as a topper especially since it is a bit thick and slow to dry. 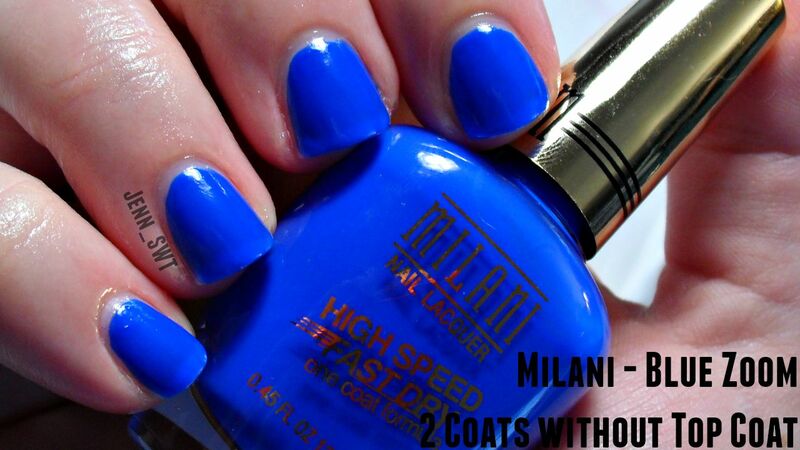 The picture shows two coats without a top coat under a day light bulb. I ordered this one directly from the brand's website during one of their promotions. 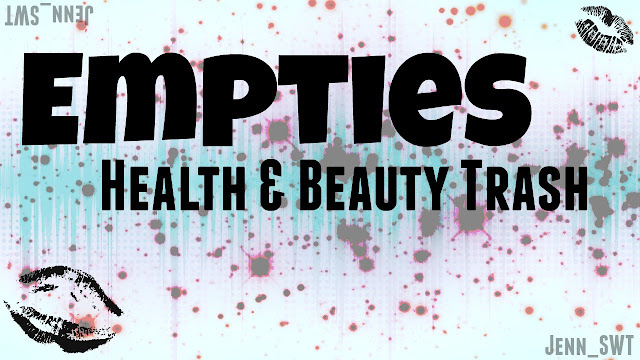 They often have them throughout the year where you can get their polishes at half off or even more. I used to hate these Pixiedust (textured glitter) polishes from this brand. Recently, I started to change my mind and really began liking the look of them. The trend is dying down, but I've never followed that crap anyway. I'll wear what I want when I want. Haha! The formula on this one is impeccable and went on like a dream. It was almost opaque in just one coat. I am in love. 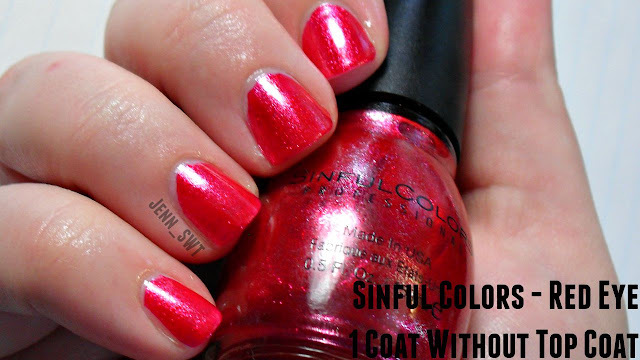 My favorite polishes are: Sinful Colors Red Eye and Zoya Stevie. I find it amusing because one has the lowest retail price of the bunch while the other has the highest. Hmm...that's food for thought right there. I loved the look of both of these, but I'm retiring them to use for crafting purposes. First, Revlon Dealer's Choice stains badly. I would be too hesitant to wear it again, and I wouldn't feel right passing it on to a friend for that reason. I hate to do it, because otherwise it was a dream polish. I am also going to retire Milani Pink Flare from my collection, because I just know I won't reach for it. The formula was just a pain for me to use on my nail. It is really beautiful, and I love the way that it looks. So, I know it will get used up quickly in other applications. If I kept it in my polish collection, it would just sit there because of all the other glitters that I have that I reach for first. *Not sponsored in any way. All polishes were purchased my me with my own money with the exception of Wink of Pink which I received in a friend swap with Beth on a Budget. Here's what candles I've completely burned since my last candle empties. That means that it's time for mini reviews and a whole heap of jar cleanin' in my future. *Not sponsored in any way. I paid for all these candles with my own money. These are all the wax melt packs that I completely melted down since my last empties. Product list and more included below. *Not sponsored. Items marked with a (%) were sent to me either in a friend mail or random act of kindness. This doesn't bias my review in any way. 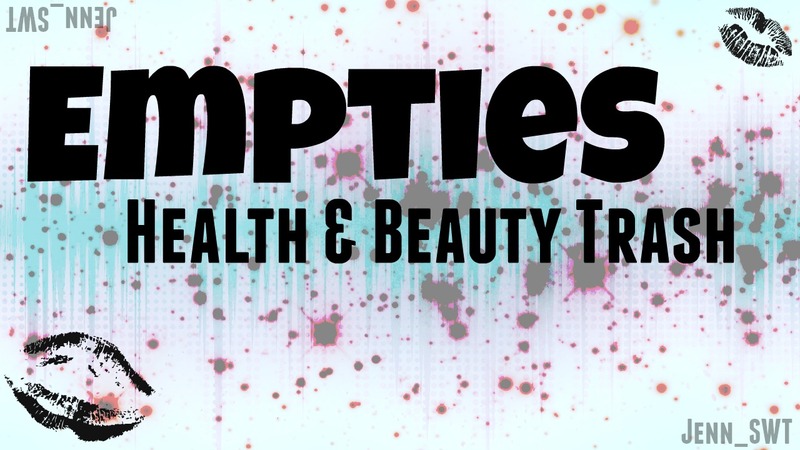 It's time once again to dig through my health and beauty trash and give mini reviews before it makes its final voyage to the trash heap in the sky. *Not sponsored. 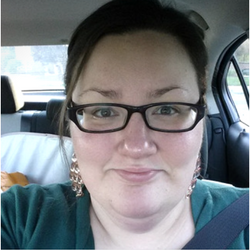 I did receive the Neutrogena Hydro Boost free for review from Influenster. That does not bias my review in any way. In fact, it didn't really work that great for my skin. I'm just part alligator or something. Haha!